During the period of the journey at the area listed in the policy, the underwriters will pay as agreed for the death or disability caused by the accident starting from the arrival at the port and ending at the time of leaving the port after the completion of the journey. The covered area includes the places for sight-seeing and shopping activities arranged by the travel agent and the cruise liner except the area on board the ship. Accident injury refers to the physical body damage caused by external, emergent, non – intended and non - objective events either directly or indirectly. The insurer will pay for the passengers for the change of the planned journey, cancellation of the calling port due to the delay resulting from the heavy weather or machinery breakdown caused by the cruise liner during the voyage as the standard of 1. RMB400 for one port and RMB400 for two ports (1-7 days voyage), the maximum for the whole voyage will be RMB800; 2. RMB400 for one port, RMB800 for two ports and RMB1,200 for three ports and the maximum will be RMB1,200 for the whole voyage (8-14 days voyage). The insurer will pay for RMB400 for one port, RMB800 for two ports and the maximum will be RMB800 for whole journey for 1-7 days voyage; RMB400 for one port, RMB800 for two ports, RMB1,200 for three ports and the maximum will be RMB1,200 for the whole journey for 8-14 days voyage if the assure will continue the voyage. In no case the insurer will undertake any liability if the cruise liner changes temporarily the calling port to the other port and continues the voyage due to the safety of the voyage or the other consideration, it is out of the coverage. Please refer to Art. 3 and 4 of the Change Calling Port. During the voyage, if the cruise liner would make the major change for the ports due to the heavy weather and the force majeure, in consideration of the safety, the change of the route refers to the attached. The insurer will pay (1) RMB200 for one port, RMB400 for two ports and the maximum will be RMB400 for whole journey for 1-7 days voyage, and (2) RMB200 for one port, RMB400 for two ports and RMB600 for three ports, the maximum will be RMB600 for the whole journey for 8-14 days voyage. 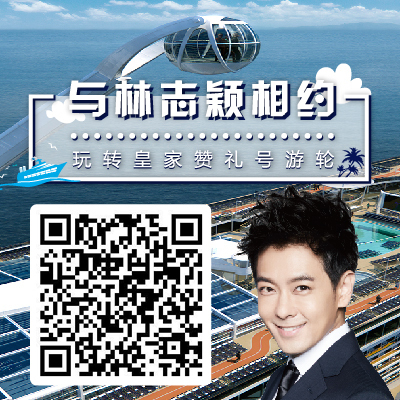 If the delay of the cruise liner results in the actual time contraction for calling during the voyage over 3 hours in comparison with the plan due to the heavy weather or machinery breakdown, the insurer would make the payment as (1) RMB300 for one port, RMB600 for two ports and the maximum will be RMB900 for the whole journey for 1-7 days voyage; (2) RMB300 for one port, RMB600 for two ports, RMB900 for three ports and the maximum will be RMB900 for the whole journey for 8-14 days voyage. In no case will the insurer undertake the liability if the actual time contract will be less than 3 hours due to the time change of the arrival or leaving the ports. The insurer will pay RMB700 per night reduced if the reduced travel days are due to the heavy weather or machinery breakdown and if it has the substantial effect to the journey of the assured. If the delay in returning to the destination port will be over 3 hours as planed due to the heavy weather or machinery breakdown, the insurer will undertake the liability for payment. The actual loss of traffic and accommodation will be paid if over 3 hours for returning to the destination port; the maximum will be RMB300 for over 3 hours but less than 6 hours; maximum will be RMB600 for over 6 hours. Force majeure: it refers to the objective phenomena that the parties cannot be foreseen, avoided and overcome, including natural disasters, such as typhoons, earthquakes, floods, hail; government behavior, such as expropriation, requisition; social abnormal events, strike, lack of labor force, etc. Except the accident protection of item 1, the aggregate of the other item covered will RMB1,500 per head. The period the protection covered: except the sub-items as agreed, starting from the boarding and ending after the disembarking. The cruise liner decides to change the route or cancel the calling port due to the threat by the force majeour noted 7 days before the voyage. The Change of the voyage due to the commercial purpose instead of the force majeure. Excluded from the open policy. Appendix: change of the destination port (unchanged for no. of ports): as per the definition of the important/not important change for home port. The other matters will be subject to the policy. Payment for traffic and accommodation charges if delay for returning to the destination port over 3 hours; the maximum payment for RMB300 for over 3 hours but less than 6 hours; maximum for RMB600 for over 6 hours. The English version is only for your reference, without binding force. In case of any disagreement between the two versions, the Chinese will prevail.